just scroll down to the bottom of the page! The following forms and documents help SIGE maintain neighborhood continuity with codes and regulations. You can submit the forms online at the bottom of this page, or they may be downloaded to your own computer to view and/or print by clicking on their names below. If you would like instructions for how to submit one of the forms you have downloaded, please contact the Architectural Committee Chair. Use this form to request approval for exterior additions or modifications. Any exterior additions or modifications to the property require prior approval. Once submitted, you can expect a response within 30 days. HOA common area tree policy. Summer/absent owner contact info for maintenance and emergencies is required for all homeowners in the event of any lengthy absence at any time of year. Original existing colors are still approved for repainting. If you require names or code numbers of original paint colors please contact the Architectural Committee. No chip samples are currently available, but the manufacturers were Dunn Edwards or Frazee. 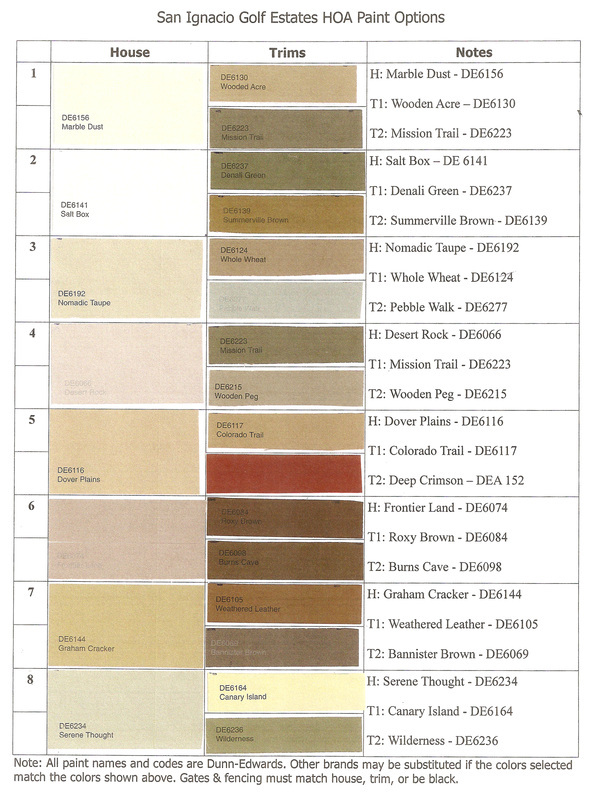 Any colors other than the original or those in the new approved paint chart would require review and approval by the Architectural Committee prior to use. Please note that garage doors must match the house body color. The colors depicted in the chart may not be an exact match due to computer rendering. Please refer to the manufacturer's color name and number and their samples when selecting paint for your use. To download or print a copy of the chart, please click on the following words: SIGE HOA PAINT OPTIONS. © San Ignatio Golf Estates, Inc. All rights reserved. 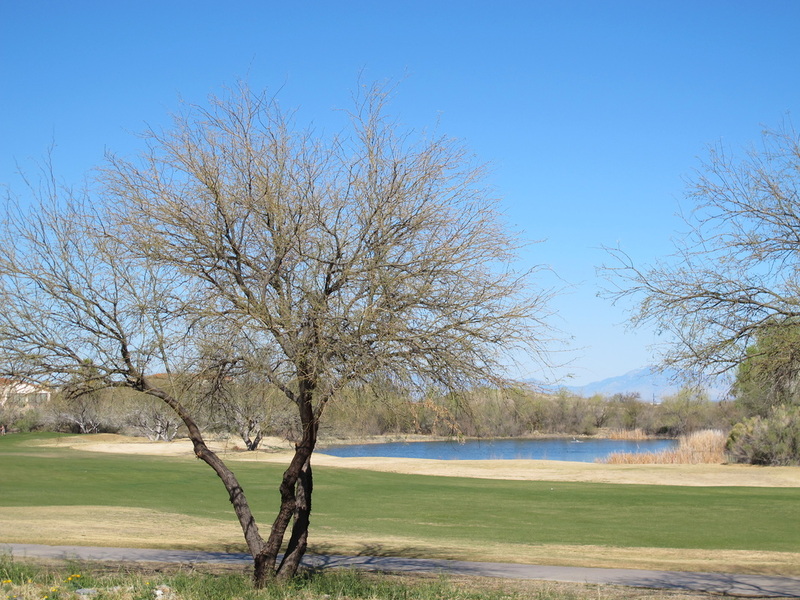 Legal: The information contained on this website is for informational purposes only, and is the sole property of the San Ignacio Golf Estates HOA. While we try to keep this information accurate and current, the SIGE HOA shall be held faultless for any errors that may occur.